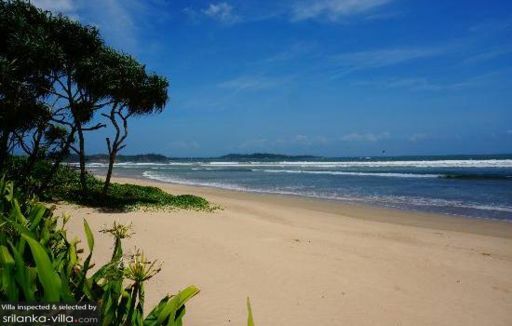 Selected Villas for rent near Weligama Bay (Sri Lanka) - Contact us now! It is well worth making a trip to Weligama Bay. Be greeted by the sight of a lovely stretch of golden sand lining turquoise waters dotted with a multitude of colourful fishing boats. Apart from its breathtaking beauty, Weligama Bay also offers travellers with plethora of activities to engage in. Water sports enthusiasts will not be able to resist the charms of the bay, for it serves as a perfect spot for swimming, diving, snorkeling and surfing.